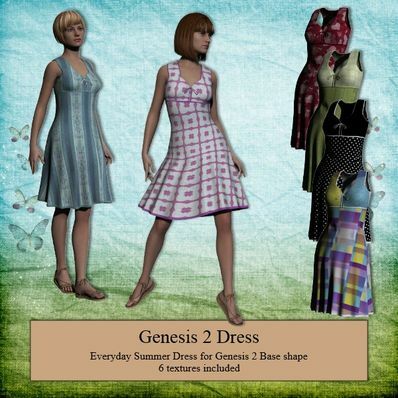 A Summer Dress for the new Genesis 2 Female for use in Daz Studio 4.6. Beautiful and so versatile! Thanks so much for creating such lovely 3D clothes! Thank you for providing normal, everyday clothes.